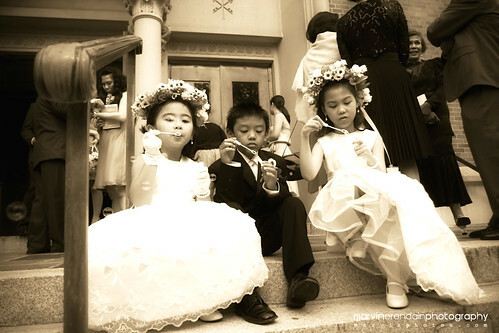 Your Best Wedding: Flower Girls & Ring Bearers blowing bubbles. Wedding Bubbles, a photo by marv117 on Flickr. I love this photo as it reminds us how as kids none of this is important. The most important thing is blowing bubbles. (It would kind of cool of this boy and one of the girls got married then they could have this photo on an invitation or at their wedding).